ICSI is a technique used in couples where there is a significant male factor problem to achieve treatment success similar to those with other causes of subfertility. The ICSI procedure is performed in the laboratory and involves taking a single sperm and injecting it into a mature egg. If the egg fertilises, the resultant embryo is placed in the womb of the patient. The sperm profile suggests a suboptimal capacity for fertilisation either by a low sperm count, reduced sperm quality or previous failed fertilisation. Less than 5 mature oocytes are expected to be collected. The frozen thawed sample is expected to have a reduced potential for fertilisation. The sperm has been surgically collected. A high level of anti-sperm antibodies are present. 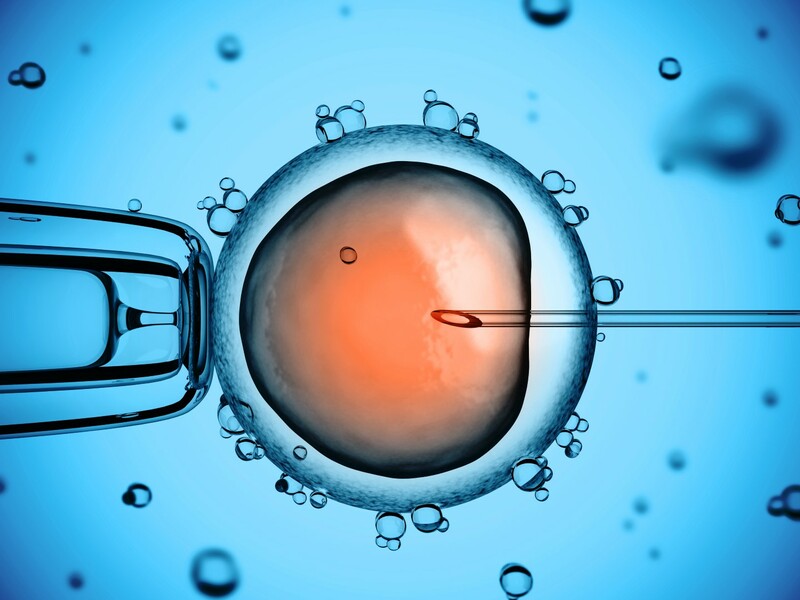 PGD (pre-implantation genetic diagnosis) or PGS (pre-implantation genetic screening) is to be performed. After the eggs have been collected, the embryologist removes the “cumulus” cells from around each egg. The embryologist is then able to determine whether the egg is mature. Only those eggs that are mature can be injected with sperm. Approximately 15% of eggs are found to be immature, and therefore cannot be used for ICSI. Some eggs (<1% at PIVET in 2013) do not survive the ICSI process. These eggs are discarded immediately. The overall fertilisation rate for those eggs injected using the ICSI technique was 76% (PIVET 2013). However, fertilisation for sperm retrieved surgically from the epididymis was 67% and from the testis 53% (PIVET 2010 – 2013). In rare occasions fertilisation does not occur following ICSI. ICSI is a relatively new procedure. Several publications have indicated that there may be an increased risk of genetic or other abnormalities in the children born following the procedure. Monitoring of the pregnancy is offered to PIVET patients to assess abnormalities in the developing baby however, these procedures are not capable of detecting all abnormalities. PIVET can therefore not guarantee that any child born as a result of ICSI will be free of genetic or other abnormality. ICSI has so far resulted in over several thousand pregnancies worldwide. The biggest report on the outcome of children born through ICSI was carried out by a group in Brussels, Belgium who reported on 877 children conceived by ICSI. Twenty-three of these children (2.6%) had some form of birth defect; however this rate was not significantly greater than that expected for naturally produced pregnancies. In addition, the investigators performed 585 examinations on the children’s’ chromosomes and found that only 1% had abnormalities of any clinical concern. It must however, be emphasised that there will be no definite information regarding the risk of congenital abnormalities until a much larger study involving more children has been performed. Unfortunately, not all pregnancies will result in a baby. Miscarriage most frequently occurs very early in the pregnancy. PIVET will monitor the early stages of the pregnancy (first 8 weeks) closely via blood tests and ultrasound scans.